If saving money is important to you, record keeping should also be important to you. Good records make it easy to follow your money and to keep track of tax deductions. They provide you with the information you need to file a warranty or insurance claim, and they help you stay on top of important tasks — like car repairs and home maintenance. So, while you may hear more about the importance of budgeting, make no mistake: solid record-keeping is just as important to the frugal lifestyle. Feel like you're always going over budget, or just not sure where your money goes? Toss all of your receipts into a jar. Then, sit down once a week to divide them into spending categories, and total each category. 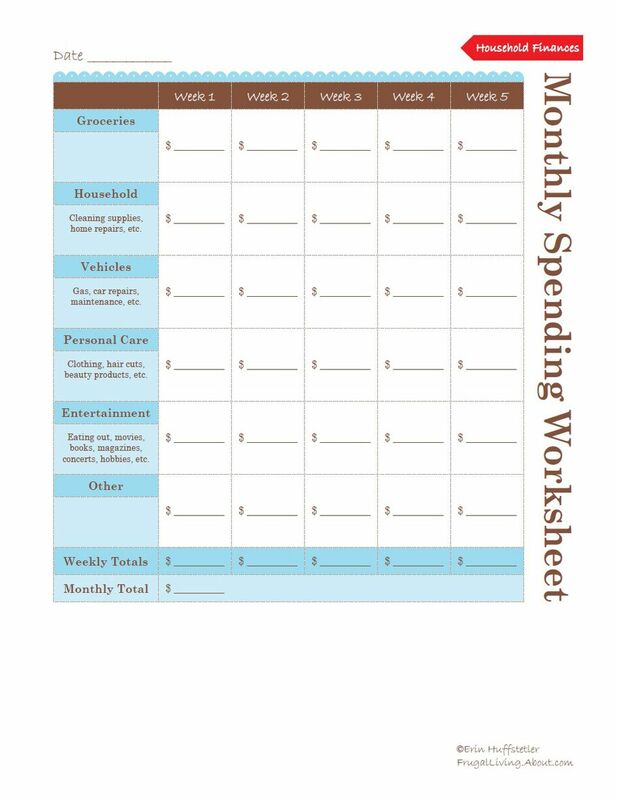 Enter the results on the Monthly Spending Worksheet, and a picture of your spending habits should start to emerge. If you have receipts for big-ticket items, warrantied items, tax deductible expenses or items you may return, be sure to hang on to them. Toss the rest of the receipts to cut down on clutter. If you want to get all the tax deductions you're entitled to, you need more than a shoe box to organize your tax records. Set up a binder with folders for income, expenses/deductions, tax payment records and anything else that will make filing easier for you. Staying on top of basic car and home maintenance tasks can help you to avoid costly repairs and breakdowns. It can also help you to determine when equipment has failed prematurely (which could mean a free replacement under warranty). Create your own logs to start tracking the work that you've done on your house and car(s). When you buy a big-ticket item, be sure to hang on to the receipt. You'll need it to make a return or to file a warranty claim. You'll also need it if you ever have to file a homeowner's/renter's insurance claim (trust me, I've been there). If you've never done a home inventory — or you haven't updated yours in a while — make it a high-priority to get it done. It may not be fun, but it's important. And be sure to hang on to those user's manuals. Just tuck them inside a binder as soon as you get them, and they'll be easy to find when you need them. People lose track of retirement accounts, savings bonds and old bank accounts all the time. And while that may sound crazy, it's pretty easy to do, if you aren't keeping up with the records. Start a list with all of your account locations, account numbers and contact information. Then, keep it somewhere secure, and update it often. Other things to keep: your most recent account statements and record of any sales or purchases that you've made. Keep a copy of all of your current insurance policies — homeowner's/renter's, auto, life, umbrella, disability, etc. — in a file. Review it regularly to make sure you still have enough coverage as your property appreciates or your circumstances change. A good filing system includes everything you need and nothing more, so, weed out unnecessary documents at least once a year. Here's how long you need to keep documents. Documents with sensitive and/or vital information —​ birth certificates, Social Security cards, marriage certificates, military records, adoption papers, school records, insurance policy info, etc. —​ should be kept in a fire safe under lock and key. Store titles, deeds, stock certificates, savings bonds and a copy of your most recent home inventory list and will offsite in a safety deposit box.